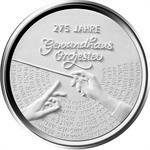 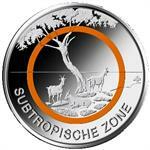 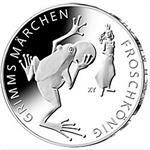 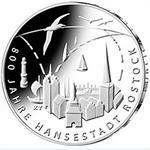 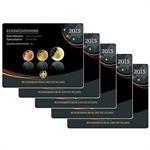 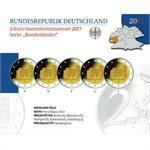 These are the annual proof coin sets from Germany, each featuring nine euro coins bearing the German national reverse. 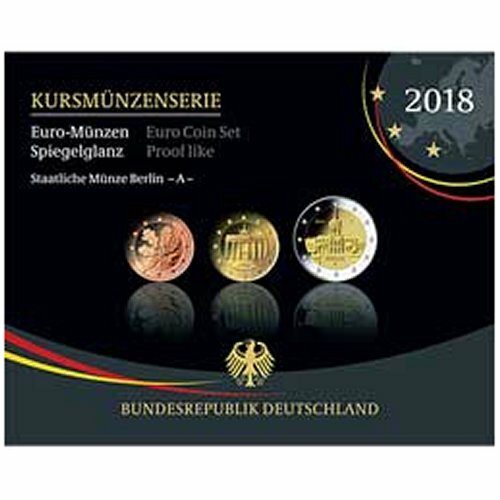 The sets contain the €2 commemorative coins issued in 2018 honoring Helmut Schmidt as well as Charlottenburg Palace from the Federal states series (Berlin). The €1 coin shows the traditional symbol of German sovereignty, the eagle, surrounded by the stars of Europe, designed by Heinz and Sneschana Russewa-Hoyer. 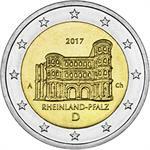 The 10, 20 and 50 Cent coins show the Brandenburg Gate, a symbol of the division and subsequent unification of Germany and Europe, designed by Reinhard Heinsdorff. 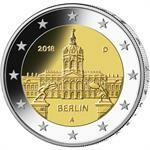 The 1, 2 and 5 cent coins feature an oak twig, designed by Rolf Lederbogen. 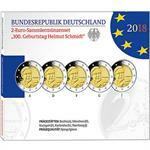 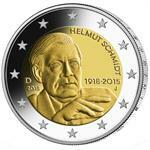 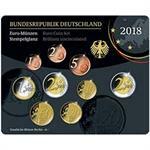 2018 Germany Complete 5x€2 Coin Set "Helmut Schmidt 100 Years"